12mm width, $2300.00 and up. 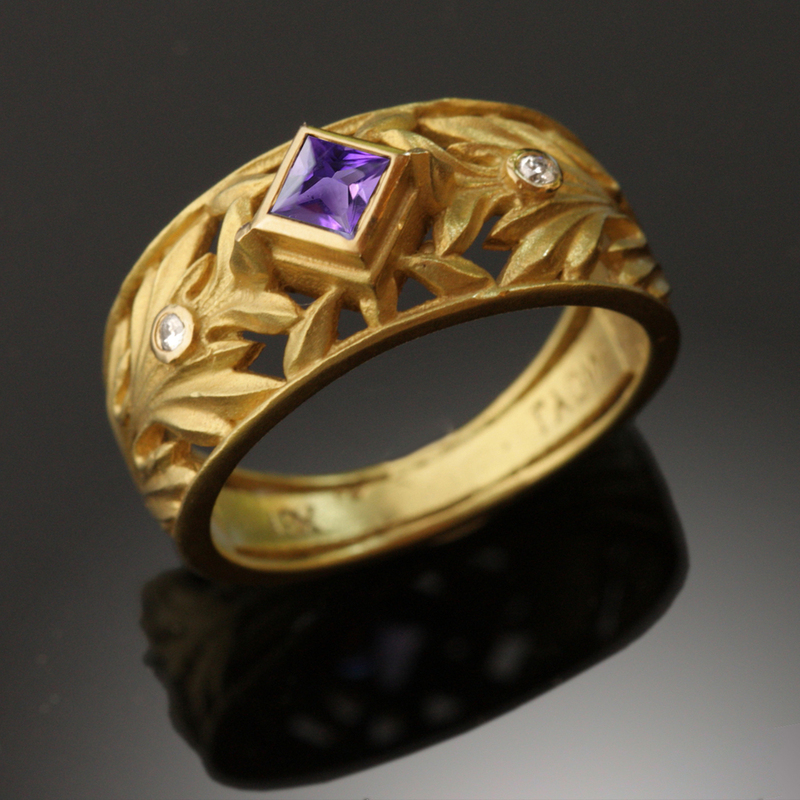 18k gold, diamonds, 3.5mm princess cut purple sapphire, diamonds 0.03ct., 10mm width, $1700.00 and up. 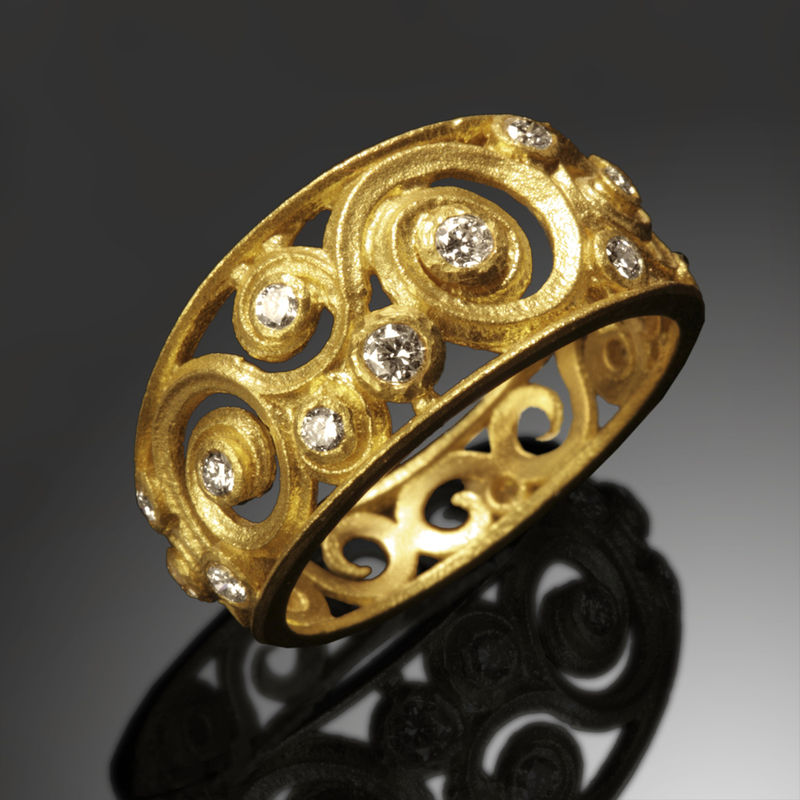 18k gold, diamonds 0.24ct., 11mm width, $2100.00 and up. 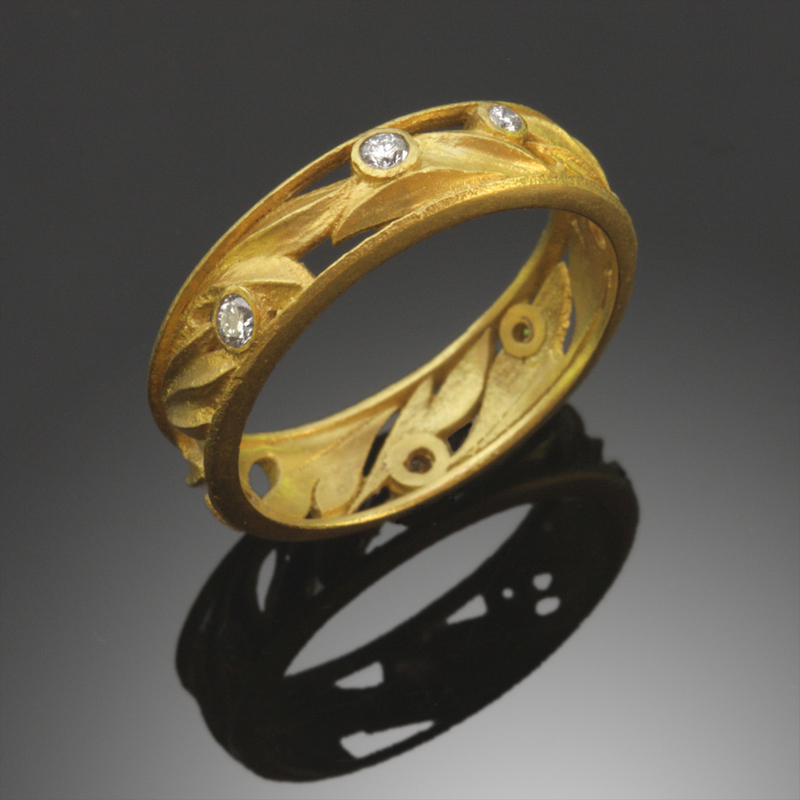 18k gold, diamonds 0.16ct., 5mm width, $1350.00 and up. 18k gold, green tourmaline, diamonds 0.40ct. $1750.00 and up. Rectangle Pattern Ring: 18k gold, diamonds 0.15ct, 7mm width, $1950 and up; Ribbed Band: 18k gold, 4mm width, $800 and up. 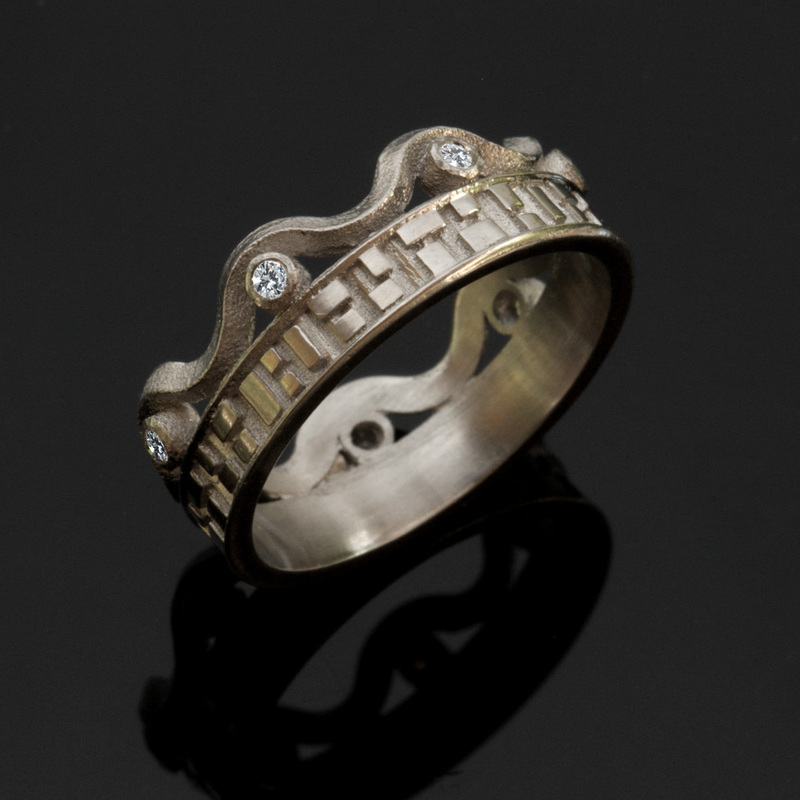 18k white gold, diamonds diamonds 0.11ct., 7mm width, $1500.00 and up.